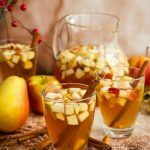 Apple Cider Sangria - Fun & Festive Drink for the Season! 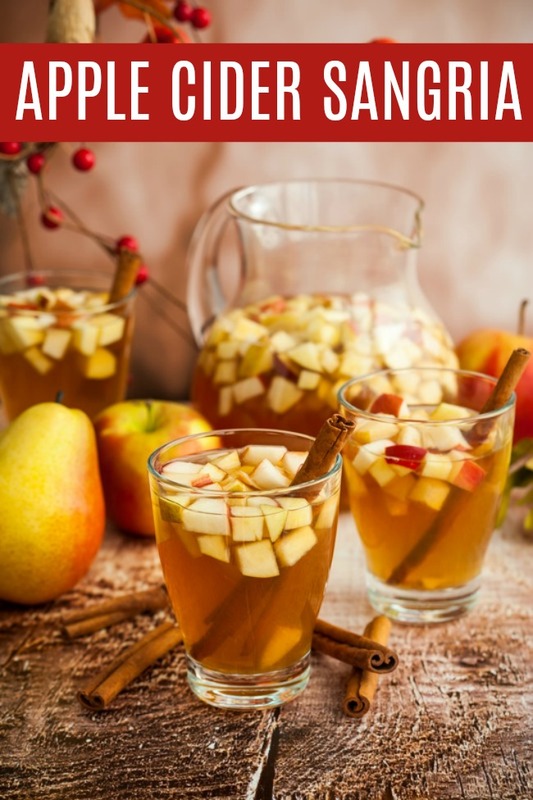 Apple Cider Sangria filled with some of your favorites white wine, apple cider, brandy, apples, and pears. A fun and festive drink for the season. 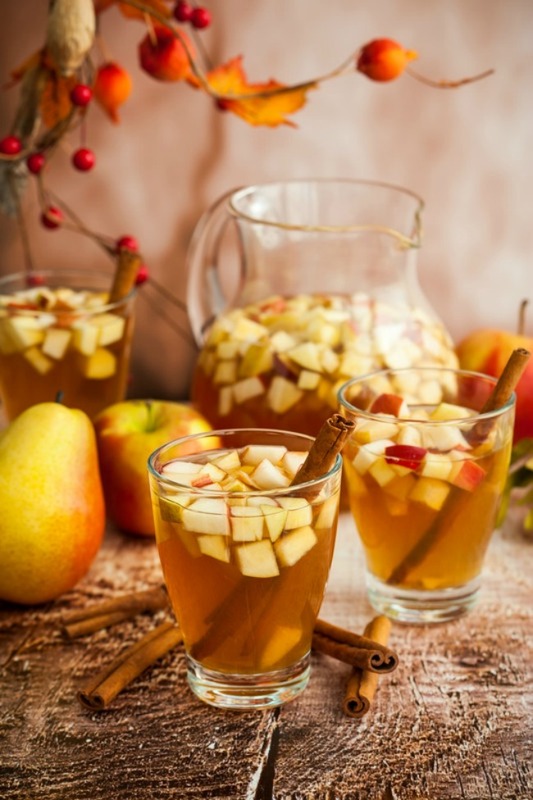 This apple cider sangria recipe is a fall and holiday favorite. Not to mention it can’t get much easier to make, just throw in all the ingredients, allow to chill and you are in fall heaven. If you want to add even more of a touch of fall flavoring to a sangria recipe then you could add in some caramel vodka and turn it into a caramel apple cider sangria. YUM! All you would need for this is a bottle of pinot grigio, 1 cup of caramel vodka, about 6 cups of apple cider and 2 apples chopped. No need for the rest of the ingredients in this simple sangria but the directions are the same. Mix together and chill in the fridge for a few hours before serving. Either option, you can’t go wrong. Want to print this recipe apple cider sangria? Free Farmhouse Fall Printables for the Farmhouse Lover!